The story of the MiG-25 Foxbat is one of the most interesting stories of Russian fighter jets. It all started when the Soviet's realized in the late 1950s that they were in need for an interceptor that would be able to climb to high altitudes and fly fast to engage bombers such as the Mach 2 capable Convair B-58 Hustler and the Mach 3 capable North American XB-70 Valkyrie. The Soviets clearly learned a great lesson after downing Gary Power's U-2 spy plane with a SA-2 SAM. The lesson was that there skies were vulnerable to the west's high altitude flying aircraft that have the capability to fly un-detected and spy on Soviet territory. If the U-2s were able to penetrate with their performance, what would bombers like the B-58 and XB-70 be able to do? This question took into consideration that fact that these bombers had capabilities exceeding those of all Soviet fighter aircraft and interceptors that were operating at that time (notably Mikoyan-Guryvich’s MiG-21 Fishbed and Tupolev’s Tu-28 Fiddler). And so the decision was taken. A major upgrade in the Soviet Air Defense Forces (PVO) homeland defense system was required. At the start of 1958, a requirement was issued for manned interceptors capable of reaching 3,000 km/h and heights of up to 27 km (88,583 ft). Mikoyan and Sukhoi responded. The result in 1964 was Mikoyan-Guryvich OKB's MiG-25 Foxbat. The MiG-25 made its first public appearance in 1967. And as America influenced the MiG-25's development with its XB-70, B-58, and A-5 Vigilante, the MiG-25 also influenced the development of America’s super fighter the McDonnell Douglas F-15 Eagle. The American’s however were influenced to develop such a remarkable due to the fact that they west made a lot of false assumptions about the MiG-25. Those assumptions were exploited when the jet fell into western hands by the defection of Soviet pilot Victor Belenko in 1976. After the MiG-25's secrets were discovered, it was clear that what the west thought about it was completely over exaggerated. The MiG-25 was a different machine. What the fighter was is explained in the sections below. The Mikoyan-Guryvich OKB had been working on a series of interceptors during the second half of the 1950s: the I-1, I-3U, I-7U, I-75, Ye-150, Ye-150A, Ye-152, Ye-152A, Ye-152P, and Ye-152M. The Ye-150 was noteworthy because it was built specifically to test the Tumansky R-15 engine, two of which would later be used for the MiG-25. This led to Ye-152, alternatively known as Ye-166, which set several world records. The Ye-152M (converted from one of the two Ye-152 aircraft) was intended to be the definite heavy interceptor design. But before it was finished, the PVO had selected the Tupolev Tu-28. As the work on the MiG-25 was well under way, the single-engine Ye-152M was abandoned. Work on the new Soviet interceptor that became the MiG-25 started in mid-1959. The design bureau studied several possible layouts for the new aircraft. One had the engines located side-by-side, as on the MiG-19. The second had a stepped arrangement with one engine amidships, with exhaust under the fuselage, and another in the aft fuselage. The third project had an engine arrangement similar to that of the English Electric Lightning, with two engines stacked vertically. Options two and three were both rejected because the size of the engines meant any of them would result in a very tall aircraft which would complicate maintenance. The wings had fixed wingtip tanks (600 liter capacity) to which small winglets were attached for stability purposes. But when it was found fuel sloshing around in the tanks caused vibrations, they were eliminated. The first flight of the interceptor prototype, "Ye-155-P1", took place on 9 September 1964. Development of the MiG-25, which represented a major step forward in Soviet aerodynamics, engineering and metallurgy, took several more years to complete. On 9 July 1967, the new aircraft was first shown to the public at the Domodedovo air show, with four prototypes (three fighters and a reconnaissance aircraft) making a flypast. Outward design of the MiG-25 "Foxbat" was highly conventional by any standard, fitting a long slab-sided fuselage against a square-shaped airframe. The airframe design was necessitated by the installation of the large pair of engines buried deep within the design. Intakes were set to either side of the cockpit and sported sharp angles to accept airflow from the sides of the nose assembly. The nose protruded a great length ahead of the cockpit, eliminating any natural "look-down" capability for the pilot. The pilot's vantage point was further hindered by setting the cockpit between the two intake openings with the fuselage spine beginning aft of the canopy. The canopy was a simple two piece system but heat resistant. Wings were of a monoplane arrangement, high-set along the intake sides and swept sharply along their leading edges, less so along the trailing. To counter airflow from these assemblies, the horizontal stabilizers were set well below the main wings and featured similar sweep back, though increased in comparison along their trailing edges. The engine exhaust rings promoted a smoother shape to the fuselage aft section, derailing the true boxy shape of the MiG-25 design to an extent. The engines were set close to one another in a side-by-side seating. As such, twin vertical tail fins were affixed outboard of each engine placement, though both maintained a rather straight - albeit rearward-swept - standing profile. The MiG-25P ("Foxbat-A") was the initial single-seat, all-weather interceptor to see service. Power was supplied by a pair of Tumansky R-15B-300 afterburning turbojet engines delivering 16,524lbf thrust each and 22,494lbg thrust each with afterburner. Maximum speed was listed at Mach 3.2 (2,170mph) at high altitude and about 740mph at low altitudes. Range was limited to 1,075 miles discounting any use of external fuel stores. Ferry range was up to 2,575km. This MiG-25 model could reach 80,000+ feet with a four missile payload and obtain a rate-of-climb equal to 40,950 feet per minute. Typical armament load was a pair of radar-guided R-40R (AA-6 "Acrid") air-to-air missiles and a pair of infrared-guided R-40T infra-red/semi-active air-to-air missiles. Alternative loads could include the AA-7 "Apex" medium-range, radar-guided and AA-8 "Aphid" short-range, infra-red homing air-to-air missiles. The MiG-25R ("Foxbat-B") became the single-seat reconnaissance aircraft fielding cameras, ECCM equipment and sensor suites suitable for the role. The reconnaissance model was cleared for acceptance into service as the MiG-25R in April of 1969 - despite flying as a prototype before the interceptor model, the interceptor was first to achieve full-scale production. In 1968, the MiG-25PU ("Foxbat-C") was delivered to serve as a conversion trainer for MiG-25 pilots. The MiG-25PU was stripped of all of its critical war-making capacity (including radar) and a second cockpit for the instructor was fitted ahead and below the primary cockpit position as found on the original MiG-25 design. The trainer model seated each pilot in a "stepped" arrangement allowing for unfettered views and redundant controls access for both instructor and trainer alike. While being utilized to train MiG-25 pilots in the ways of the Foxbat, the MiG-25PU model went on to prove itself as a valuable weather reconnaissance platform as well. Eventually, the MiG-25PU model would be cleared to fly more hours than her single-seat sisters ever would. In 1970, the MiG-25RB/RBS ("Reconnaissance Bomber") (also "Foxbat-B") was delivered to replace the MiG-25R reconnaissance types. While still retaining the needed camera suite for reconnaissance sorties, the MiG-25RB was fitted with a Soviet aircraft "first" - an operational inertial navigation system. Additionally, a Peeling automatic bombing system was installed and effectively doubled the potent value of the MiG-25 series as a whole. Not only could the aircraft now scout targets, target areas and engage aerial foes, it could also now engage ground targets with some level of accuracy. The MiG-25RB/RBS model proved quite valuable within the Soviet ranks, enough to see quantitative production up until 1982. MiG-25RBSh was used to signify MiG-25RBS models fitting newer, improved equipment. The MIG-25RBV designation was also used to mark reconnaissance bomber variants with new equipment. Building upon the reconnaissance-minded Foxbat, Mikoyan-Guryvich delivered the MiG-25RBK ("Foxbat-D") into the fray, coupling the camera fittings with passive and active receivers/"Kub" Side-Looking Airborne Radar (SLAR) and Sabla radio location systems for ELINT (ELectronic INTelligence) sorties. These models could be identified by the installation of dielectric panels to either side of the forward nose facings, replacing the reconnaissance antennas of previous. Operational status of this new Foxbat type was achieved in 1972 and production would run until 1980. An improved - and final - reconnaissance model appeared with the delivery of the MiG-25RBF featuring an improved jamming suite. Aircraft of this type were either brought up to standard from their MiG-25RB origins or appeared as all-new products to replace the older MiG-25RBK types. MiG-25RBT was another designation reserved for ELINT variants. The MiG-25PD ("Foxbat-E") eventually became the definitive Foxbat, entering production in 1978. The MiG-25PD was fitted with modernized RP-25 series radar system allowing for "look-down, shoot-down" capability. Additionally, the aircraft received more powerful revised engines as well as Infra-Red, Search and Track (IRST) installed in a mount under the nose assembly. Armament was now a pair of R-40 (AA-6 "Acrid") missiles with 4 x R-60 (AA-8 "Aphid") missiles destined to counter any marauding enemy aircraft. With the unveiling of the Foxbat-E, remaining Foxbat-A model series were brought up to the newer potent standard beginning in 1979 under the in-house designation of MiG-29PDS. The upgrade program served to ensure potency of the MiG-25 worldwide, at least in the short term. Incidentally, the AA-6 "Acrid" missile was specifically designed to target the failed Valkyrie bomber venture of the Americans. The MiG-25BM ("Foxbat-F") was similar in scope and armed with Kh-58 or Kh-31 series air-to-surface missiles. The first claim was for world speed records with no payload and payloads of 1,000 and 2,000 kilograms. Test pilot Alexander Fedotov reached an average speed of 2,319.12 km/h over a 1,000 km circuit in 16 March 1965. For pure speed, with no payload, test pilot Mikhail M. Komarov averaged 2,981.5 km/h over a 500 km closed circuit on 5 October 1967. On the same day A. Fedotov reached an altitude of 29,977 metres (98,350 ft) with a 1,000 kilogram payload. The MiG eventually became the first aircraft to go higher than 35,000 metres (115,000 ft). Time to height records were recorded on 4 June 1973 when Boris A. Orlov climbed to 20,000 m in 2 min 49.8 sec. The same day, Pyotr M. Ostapenko reached 25,000 m in 3 min 12.6 sec and 30,000 m in 4 min 3.86 sec. On 25 July 1973, A. Fedotov reached 35,230m with 1,000 kg payload, and 36,240 m with no load (an absolute world record). In the thin air, the engines flamed out and the aircraft coasted on in a ballistic trajectory by inertia alone. At the apex the speed had dropped to 75 km/h. A few years later, on 31 August 1977, "Ye-266M" flown by MiG OKB Chief Test Pilot Alexander V. Fedotov, set the recognized absolute altitude record for a jet aircraft under its own power.He reached 37,650 metres (123,520 ft) at Podmoskovnoye, USSR in zoom climb (the absolute altitude record is different from the record for sustained altitude in horizontal flight). The aircraft was actually a MiG-25RB fitted with a new engine, the powerful R15BF2-300. It had earlier been part of the program to improve the aircraft's top speed that resulted in the MiG-25M prototype. In all 29 records were claimed, seven of which were all-time world records for time to height, altitudes of 20,000 m and higher, and speed. Several records still stand. The USSR sent two MiG-25Rs, and two MiG-25RBs to Egypt in March 1971 and stayed until July 1972. They were operated by the Soviet 63rd Independent Air Detachment (Det 63) set up especially for this mission. Det 63 flew over Israeli held territory in Sinai on reconnaissance missions roughly 20 times. The flights were in pairs at maximum speed and high altitude (between 17,000–23,000 m). On 6 November 1971, an Egyptian MiG-25 flying at Mach 2.5 was met by Israeli F-4Es and fired upon unsuccessfully. A MiG-25 was tracked flying over Sinai at Mach 3.2 during this period. The MiG-25 engines went into over-speed, which led to their later destruction. Unit Det 63 was sent back home in 1972, though reconnaissance Foxbats were sent back to Egypt in 19–20 October 1973 during the Yom Kippur War. Unit Det 154 remained there until late 1974. The MiG-25 was in service with the Iraqi Air Force during the Iran–Iraq War. According to research by journalist Tom Cooper, at least 10 MiG-25s may have been shot down by Iranian F-14s (one of them shared with an F-5) during the Iran-Iraq war. However, confirmed combat losses are between three and five MiG-25s (2-3 reconnaissance aircraft and 1-2 fighters). Two of them in air combat, one RB and one PD. Iraqi MiG-25s made their first kill against Iran in February 1983, when an Iraqi MiG-25PD shot down an Iranian C-130. On April 1984, an Iraqi MiG-25PD shot down an Iranian F-5E. On 21 March 1984, an Iraqi MiG-25PD shot down an Iranian F-4E and on 5 June 1985 an Iraqi MiG-25PD shot down a second Iranian F-4E. On 23 February 1986, an Iraqi MiG-25PD shot down an Iranian EC-130E and on 10 June an RF-4E, later in October 1986, an Iraqi MiG-25PDS shot down a second RF-4E. The most successful Iraqi MiG-25 pilot of the war and in history was Colonel Muhammed "Sky Falcon" Rayyan, who was credited with 10 kills. Eight of these were while flying the MiG-25P from 1981 to 1986. In 1986, after attaining the rank of Colonel, Rayyan was shot down and killed by Iranian F-14s. The Iraqis claimed a total of 19 Iranian fighters, plus 4 foreign jets shot down by the MiG-25. The Iranian fighters were no match for the Mig-25PD/PDS which prevailed in every clash with Iranian F-4Es and F-5Es. The only MiG-25PD loss occurred December 2, 1982, when the MiG was hit by an F-14's missile. On 3 May 1981, an Iraqi MiG-25PD shot down an Algerian Gulfstream III. On 2 October 1986, an Iraqi MiG-25PD shot down a Syrian MiG-21RF. 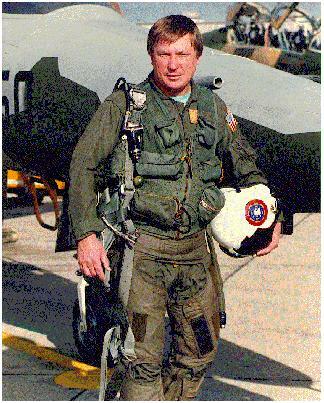 During the Persian Gulf War, a US Navy F/A-18, piloted by Lt Cdr Scott Speicher, was shot down on the first night of the war by a missile fired by a MiG-25. The kill was reportedly made with a Bisnovat R-40TD missile fired from a MiG-25PDS flown by Lt. Zuhair Dawood of the 84th squadron of the IrAF. After the war, on 27 December 1992, a U.S. F-16D downed a MiG-25 that violated the no-fly zone in southern Iraq with an AMRAAM missile. It was the first USAF F-16 air to air victory and the first AMRAAM kill. On 23 December 2002, an Iraqi MiG-25 shot down a U.S. Air Force unmanned MQ-1 Predator drone, which was performing armed reconnaissance over Iraq. This was the first time in history that an aircraft and an unmanned drone had engaged in combat. Predators had been armed with AIM-92 Stinger air-to-air missiles, and were being used to "bait" Iraqi fighter aircraft then run. In this incident, the Predator did not run, but instead fired one of the Stingers, which missed, while the MiG's missile did not. I never saw the MiG-25, but I do own a Herpa 1:200 Soviet MiG-25P Foxbat-A. This was the one flown by Soviet Pilot Lt. Victor Belenko, who defected in 1976 landing his MiG-25P at Hakodate Airport in Japan. Photos of the model I own are below. I also own a Herpa 1:200 MiG-25PDS with old Iraqi Air Force livery. Inaccurate intelligence analysis caused the West initially to believe the MiG-25 was an agile air-combat fighter rather than an interceptor. In response, the United States started a new program which resulted in the McDonnell Douglas F-15 Eagle. NATO obtained a better understanding of the MiG-25's capabilities on 6 September 1976, when a Soviet Air Defense Forces pilot, Lt. Viktor Belenko, defected, landing his MiG-25P at Hakodate Airport in Japan. The pilot overshot the runway on landing and damaged the front landing gear. Despite Soviet protests, the Japanese invited U.S. Air Force personnel to investigate the aircraft. On 25 September, it was moved by a C-5A transport to a base in central Japan, where it was carefully dismantled and analyzed. After 67 days, the aircraft was returned by ship to the Soviets, in pieces. The analysis, based on technical manuals and ground tests of engines and avionics, revealed unusual technical information. The west finally discovered what the MiG-25 was. This forced Soviet officials to order the design of its upgrade, The MiG-31 Foxhound. The MiG-31 would be the first Soviet generation 4 jet aircraft to enter service in the Soviet Air Force in 1981. But its development was preceded by two other Soviet fighters that were being designed to counter America's latest generation 4 fighters, the F-15 Eagle and F-16 Falcon. Those Soviet fighters were the Sukhoi Su-27 Flanker and Mikoyan- Guryvich MiG-29 Fulcrum. The next article in this series will discuss the MiG-29 Fulcrum, perhaps one of the best Soviet fighters ever produced and one of the best aircraft in the world. As for the MiG-25, it remains in service today in the armies of 6 countries even after its production was terminated since 1984. And until our present day, it is the second fastest and second highest-flying military aircraft ever fielded after the SR-71 reconnaissance aircraft. As usual, I would say "traditionnaly", superb post, Ahmed!! As it is a draft, I suppose illustrations are in the tube !!! LOL! Superb MIG compilation!! To be followed ! One more time Ahmed, very interesting work !! It sure will meet some more readers !! Keep on! Your post has been featured !! I WANT THE PRINT OF THE ENTIRE OPUS IN PDF FORM !!! Thanks a lot Jeff. I am really happy this post got featured. When the series is done, I will probably revisit the old articles, re-write them in the new format and attach them in PDF format. Great Presentation Ahmed! Thanks for sharing with us. Updated post with latest MiG-25 acquisition from Herpa.